Thank you so much for updating. I have been checking frequently to see if you had posted any updates. My daughter and Reesa were born two days apart so y'all have been heavily in my prayers. Reesa is gorgeous. Such a beautiful angel baby. Continued prayers for your family and Reesa as you soak up her love every day. Reesa is such a sweet little angel. It breaks my heart to see her and you guys have to go through this. You are blessed to have this time together as such an incredible family. May God bless you with plenty more of her sweet smiles and love. We love her so much and pray for you all several times a day. You have such a beautiful little girl. You guys are in our prayers. God gave Reesa two very loving parents. She is such a beautiful baby. It's so sad to see such a wonderful family have to go through this tragic disease. You are an amazing family and I feel lucky to have known such loving people. Reesa is truly a living angel now and always. God bless all of you! I hope and pray that He lets her beautiful smile shine on you at least once each day. She is truly one of the most beautiful babies I have ever seen. You are all in my thoughts and prayers daily. If anyone ever questions what an Angel looks like take a look at Baby Girl Reesa. She will light up your life. Reesa is the cutest baby girl! You two are THE best parents a girl could have and she is lucky to have such devoted and loving support. You two are amazing souls and I am so inspired by how positive and brave both of you are together. Sending my prayers, good vibes, and love, Always. Thanks for the updates on Reesa, we think of you all everyday. Heartbreaking. I appreciate you sharing your precious baby with us. I pray for God's presence in your life and little Reesa's. I am in tears, I know you are so strong because of His presence in your life. Enjoy every minute you have been blessed to be with her. Cannot tell you how amazing this is. I cannot wait until July 19th to come out and show my support in this. Its amazing how much Skip is able to do for your family. I will be the first to call and get my tickets for this fundraiser! I hope I get the chance to meet such an amazing family. She is such a amazing beautiful little angel. She reminds me of my grandbaby that had heart issues and lost her 5yrs ago but that was the best 3 1/2 months of my life. Treasure every smile because she will always be with you. I think God needs the most perfect babies ever. God bless you and my family's prayers are with you. This breaks my heart Jamie. Thinking and praying for Baby Ressa and for God to give you and Sean strength. Dear Reesa ( & Family ) - It aint over til it's over.! Thank you again for sharing your photos! So cute and beautiful! 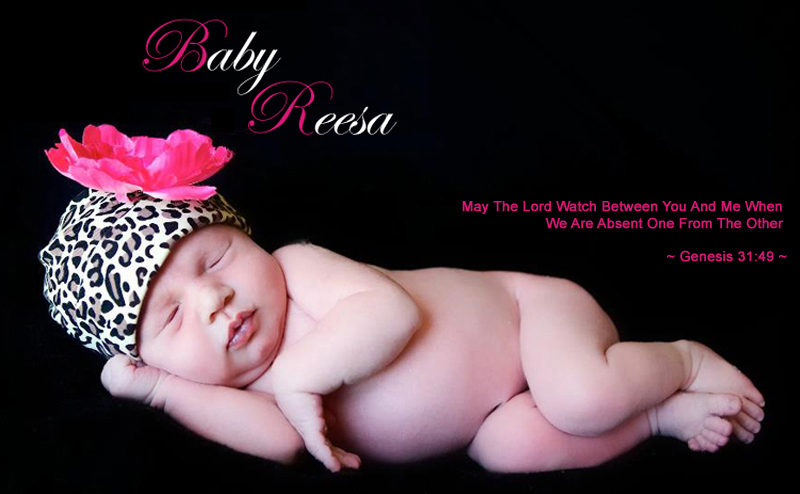 Cardinal Nation is praying for baby Reesa and your entire family. Please keep us posted on this website about Baby Reesa. We all care and love her so much. These apparatuses help guardians to screen the strength of the baby and their wellbeing constantly, and accordingly free the guardians of some imperative time for them to run their work and occupations, while their infants can develop in a solid and safe condition. What you want to focus on instead are light foods. Here are some foods you can eat a few days before you go in for a what to eat after a colonoscopy.